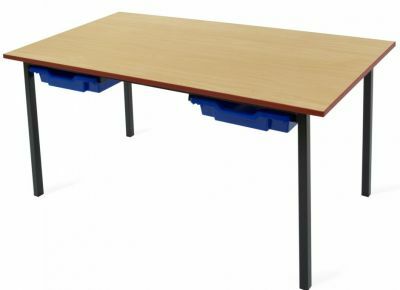 An ADV classroom desk with gratnell trays, this is the perfect accessory for educational settings to store all essential items. Featuring a powder coated frame in 4 colour options and available in 5 height options. Free UK mainland delivery (10-15 working days) and comes with a 5 year factory warranty. PVC edge available on request. Classroom tables that feature two Gratnell trays that provide a perfect place for storage. 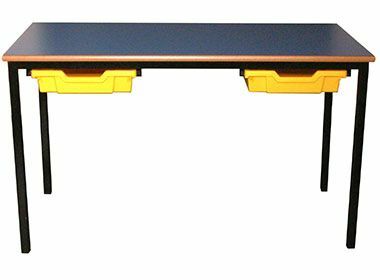 Finished in a wide range of laminate table tops and available in 5 sizes to meet the needs of any user.